The Apple Thunderbolt/Firewire adapter works without any problems on Macs that don’t have Firewire. The standard Nikon carrier will hold negatives flat enough for sharp scans if you follow the instructions & Dante’s advice, but the FH869G glass carrier is a little less fussy and provides slightly better resolution. Those little strips of thin black plastic that came with your 9000? Those cut down on stray light bouncing around the scanner. If you get darkened frame edges on your MF scans, particularly in denser areas of the negative – like the sky – place one of strips along the effected edge of the negative. The glass carrier comes with ones that are pre-cut for various formats, but just a thin strip is usually easier to place, and you rarely need them on more than one edge of the frame. Scan to raw if you must, but the following settings work just as well for me with less post work. You may be tempted to set the white & black points to 0. Don’t. You’ll just get flat scans that you have to adjust in PS later. .1 and .05% won’t clip in a material way, but they seem to help VueScan draw a realistic curve. Gorgeous apartment! Love the minimalist ethos. Appreciate the scanning advice too. Most appreciated. More like this please. Aaron, glad the scanning advice is useful. The minimalist ethos started as a practical measure in the face of repeated moves, but over the last few years, we’ve realized that we are happier limiting our stuff to the things that really interest us: books, photography, coffee, liquor. The rest has slowly moved out. Love the blog and your ongoing enthusiasm and adherence to film. It’s been a constant and longtime inspiration. Your educational/commentary posts have been few and far between over the last 2 years but they are favs of this reader. Film/Developer combos being explored etc. New gear lightly reviewed is also a delicious read. Have you kept the x100? Does it see use or sitting somewhere? I plan on doing more writing on the blog this year. I’m doing less experimenting with films & devs, but there is still plenty to write about. The x100 didn’t survive the last gear purge cycle. There will be more on that sometime in the next few weeks. Finally had a chance to try your recommendations for scanning. Tri-x at box speed in Rodinal 1:50 for 9min, 20C. Probably the best scans yet, which makes me wonder how much more I could get out of the scanner/software with some fine tuning. Scanner is a cheapie Minolta Dual Scan II. I want to believe that it’ll do a decent job…80% of a Nikon….70? Great, except as you touch on results in flat scans that can be hard to bring back-at least as I find, in using Aperture. Please don’t tell me I need to go into PS. Not going to happen. Are you just self taught on the software? Also, you seem to continue to be pleased with Tmax. Everything else is been there done that? 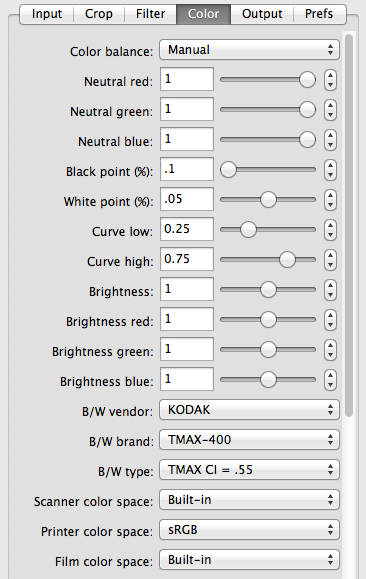 How would you compare Tmax developer vs. Rodinal? Apologies for the inundation of questions-answer or not as time allows. You have a special thread going online. Few have such a committed dedication to do it yourself B&W. Always a treat to visit. Always happy to answer questions, so no worries about that. I used a Scan Dual IV for many years, and apart from not being able to handle 120, it was perfectly fine. Aperture will do everything you need to. I use it for digital camera files, and it would use it for film scans as well, but it’s too slow on my aging iMac to handle the larger film scan files. It’s all been trial and error getting here. As you say, not much specific is out there, and what is tends to be contradictory. Never been able to get the hang of color, but I’m learning on the D600. Everything but Tmax is pretty much been there done that for me at this point. I figure film may not have many years left, so I want to shoot what I like. I’ve tried almost everything else enough to know what I’d fall back on it Kodak finally goes to that big yellow box in the sky before I’m ready. Tmax developer is going to be a lot like Rodinal at 1:50 in terms of shadow detail, but the grain will be smaller and slightly mushier; Tmax, like D76 & XTOL, has a slight solvent effect so you get slightly less detail. I still keep a bottle of Rodinal on the shelf as mental inoculant. Do yo have your photos online anywhere? Thank-you kindly. I am encouraged. You are fortunate to have put the experimentation time in to be able to say this is what I like and this is what works. I think I’m going to re-read some of your old commentary on films and developers. Seems like forever ago. There were less nails in the film coffin at that point and Kodak at least appearance wise was wounded but could never die. Will there be a world without Tri-X? These are a hodgepodge of film and digital over a long period of time. A mix of developed at home and lab scanned. San Fran and Life at 1600 are from the HC 110 days. Going forward, I’d like to nail a recipe, kill the voice of endless experimentation on my shoulder that wants to try new film with a new developer ad infinitum and really lay down something solid that delivers the goods…and then make some frames. If I may be so bold and I can find your email, I might send you a couple frames from the first Rodinal experiments. Perhaps we could do a little quid pro quo.